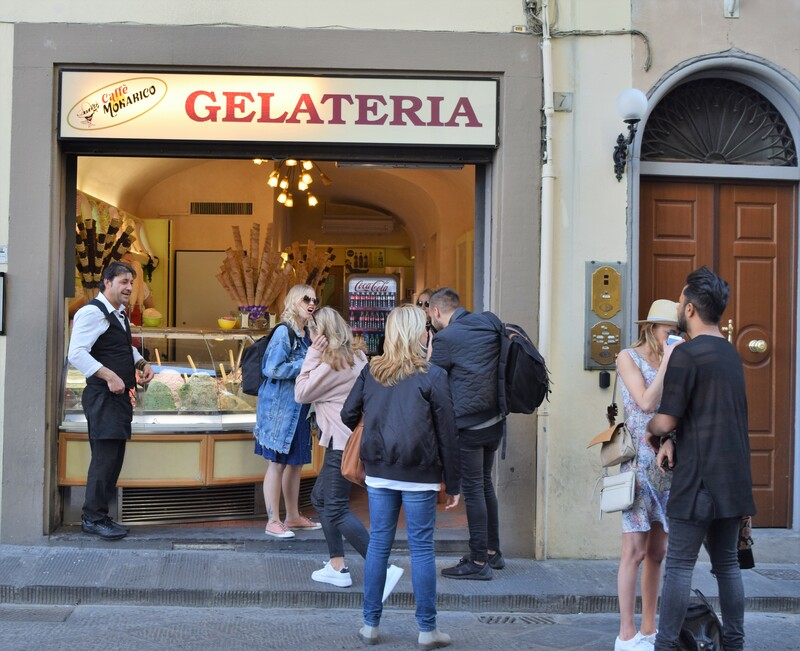 There are hundreds of places for gelato in Italy. Literally, hundreds. But are all places the same for that yummy cold stuff? Gelato is an English term for ice cream made in an Italian style and is made with a base of milk, cream, and sugar, and flavored with fruit and nut purees and other flavorings. 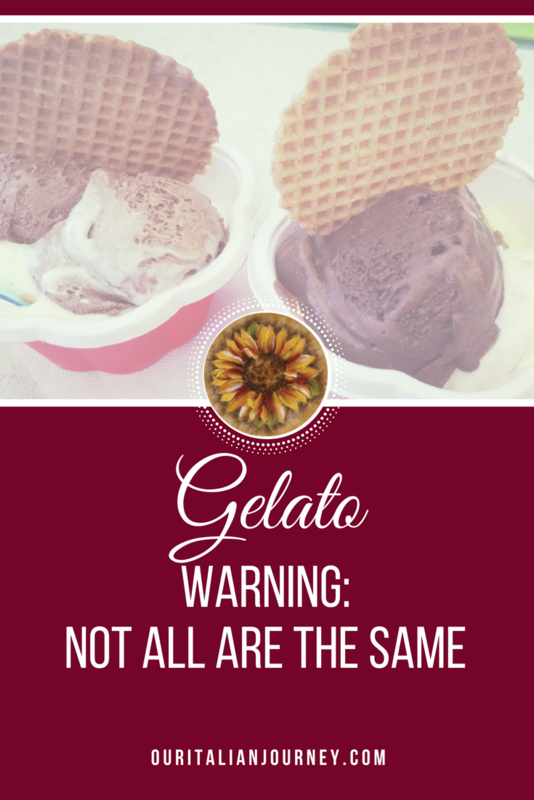 I have done a previous post about gelato and the difference between that and American ice cream, see: https://ouritalianjourney.com/gelato-vs-american-ice-cream/ But that is not what this post is about. Other than flavors which vary from shop to shop, there are other differences too. PRICES! 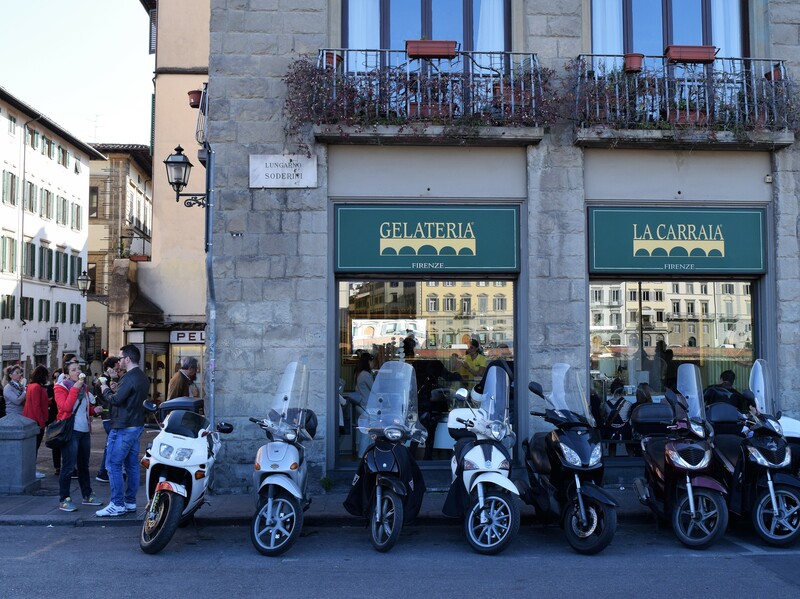 Just recently, we visited one of my blog friends, Karen Mills, (An American In Italy) favorite Gelato place, La Carraia. The place is pretty packed all the time. 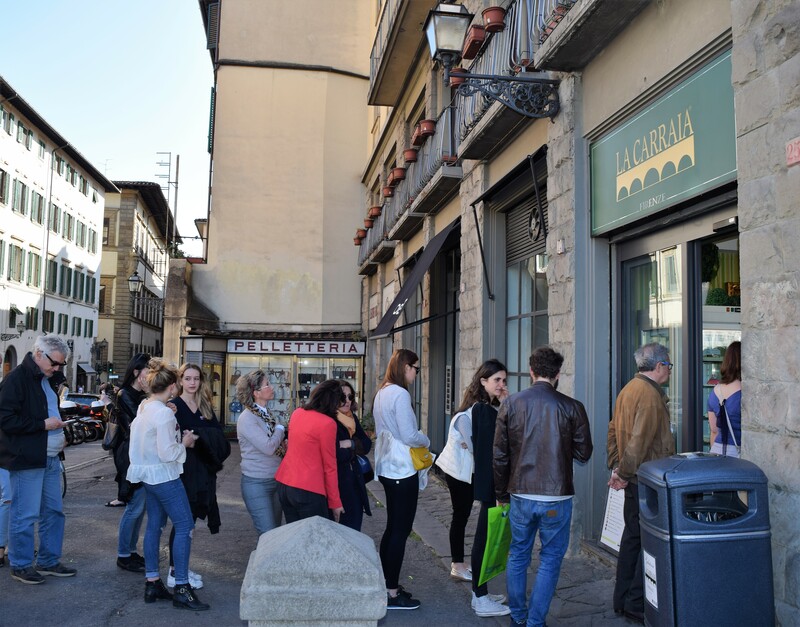 It is located in Piazza Nazario Sauro: https://goo.gl/maps/8tjMDfstfxt just on the other side of the Arno River in the Oltrano neighborhood of Florence. Not only do they have an amazing selection of flavors, but they are more than half the price of other gelato places. To give you a better idea of what I am talking about…. a regular cone at La Carraia is 2,50€. It can be one, two or three flavors and is quite a large serving. 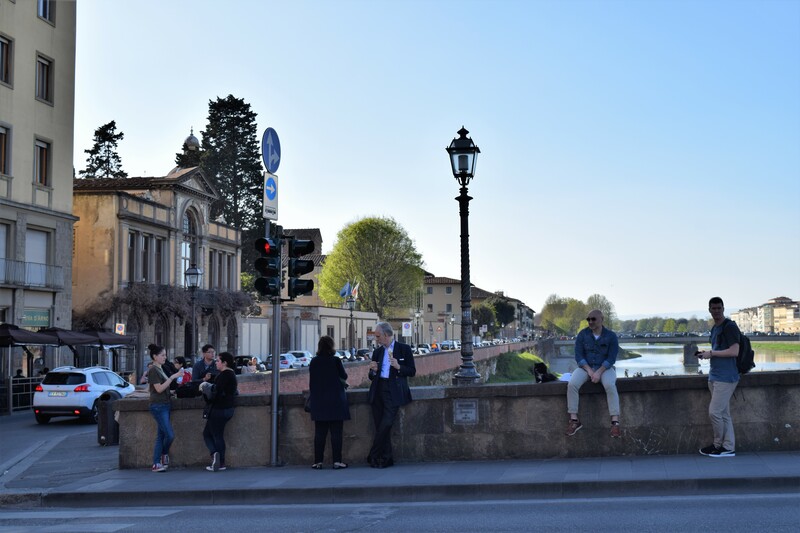 People get their cones and enjoy them along the Arno. Now, lets head for Piazza della Signoria. 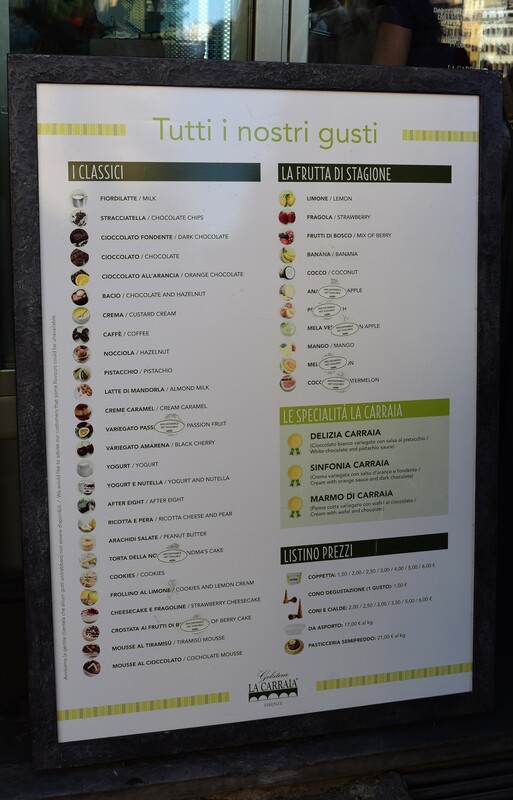 The very same cone with not as many flavor selections at Caffe Monarico cost us 6,00€!! That is more than double the price and, it wasn’t that terrific. I guess gelato locations are the same as real estate; it’s all about location – location – location. But why pay more than double? 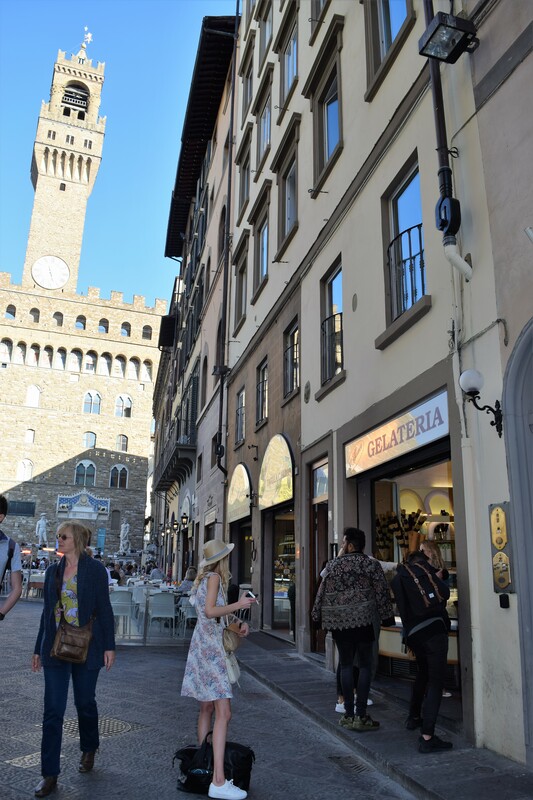 You can certainly walk to Piazza della Signoria and enjoy your gelato from another location and enjoy the same view. Up to you but I’d rather have a better gelato, more often, than pay for the location.